I propose that Peanut Butter & Co change the name of one of their peanut butter option, Smooth Operator, to the name of Smooth Criminal. Smooth Criminal is by far a much cooler name than Smooth Operator. Plus, every time you hear the name Smooth Criminal, you will start humming along & moving to the tune. Peanut Butter and fun all in one – simply with a name change. I have read about Peanut Butter & Co’s peanut butter on a number of food blogs and pretty much everyone rates their peanut butter as really good. My local Publix does not carry Peanut Butter & Co’s product and I had never seen them locally. Over Thanksgiving in Blairsville, we visited Mercier Orchard and I found single serve packages of Peanut Butter & Co. Excellent. I grabbed two – one Smooth Criminal and one other…this will be a secret until I eat and review it. 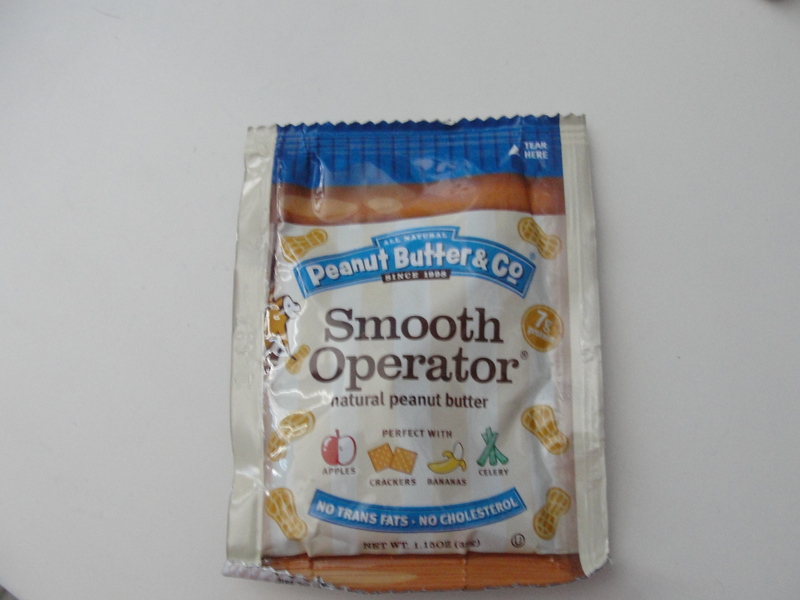 After having the Smooth Operator (which we will call Smooth Criminal since I know Peanut Butter & Co will change the name once they read this blog) for a while in the pantry, I finally came around to try it a few weekends back. Rather than eating this peanut butter on bread or on crackers or on anything, I ate the peanut butter right out of the package. This is not odd for me at all…I love peanut butter all by itself. I moved the Smooth Criminal around in the package before I opened it. Smooth Criminal is basic, creamy peanut butter. Nothing too exciting in flavor but, Peanut Butter & Co does offer a wide variety of flavors. I clipped a piece off the packaging and squeezed a bit out. I wafted the aroma from the package to my nose and it smelt like peanuts. Normally, peanuts and peanut butter have a bit of a different smell but Smooth Criminal smelt like a jar of peanuts. I put a bit of Smooth Criminal into my mouth and moved it around. The texture is the first thing I noticed. Smooth Criminal had a very thick & creamy texture. 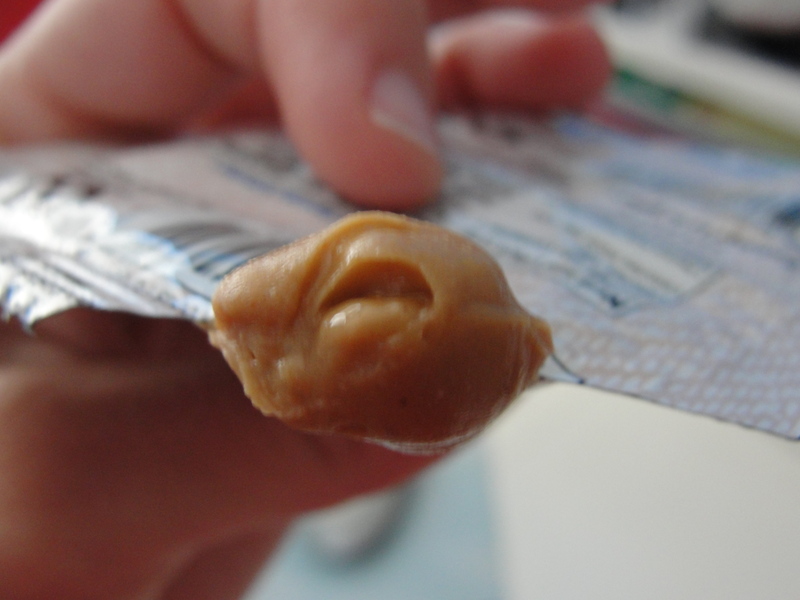 This is peanut butter that really sticks to the roof of your mouth. I let the Smooth Criminal move around in my mouth and found the texture to really keep its shape as I held it in my mouth. I really like melted peanut butter and I am curious as to how Smooth Criminal would melt. I mean, the texture was really that thick. As I continued to eat Smooth Criminal, I found it to only have a slight peanut taste. Yes, it smelt like a jar of peanuts but it really didn’t taste like one. I found the taste to be somewhat lacking and boring. I ate more and more of the Smooth Criminal and my mouth was never over flavored with peanut butter. I love the flavors that peanut butter normally leaves and Smooth Criminal just did not do this. I would describe the flavor as at best, vague & boring. I really had high hopes that this peanut butter was just going to be amazing. It is considered a ‘premium’ peanut butter and the price certainly reflects this. After the huge price increase peanut butter just took, I have no desire to ever purchase a full jar of this peanut butter. The flavor of All Natural Peter Pan and Planters peanut butters far outweigh Smooth Criminal and are only a fraction of the cost. This peanut butter wasn’t the worst peanut butter I have ever had and maybe it would taste better slightly melted or in addition to an English Muffin or cracker. 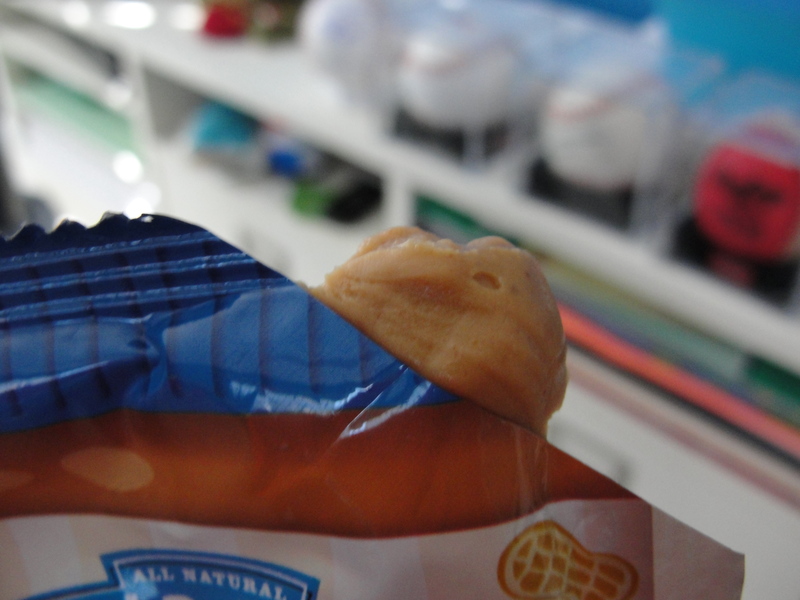 But, straight out of the packaging, this peanut butter just does not cut it for me. If you aren’t a huge fan of peanut butter, this may be a good choice for you since the flavor is so distant. Smooth Criminal, I was hoping we could become good friends but sadly, you did not cut this Foodies Taste Test. And Peanut Butter & Co, you are so welcome for renaming your product with a name 100x better.